One of my favorite things about this time of year is the food. We don’t have the super cold weather that we had last year in Colorado but it’s still chilly enough to enjoy a nice warm bowl of soup. 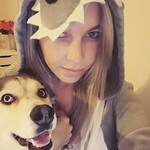 Plus, we’ve all been battling colds and what is better than soup when you’re feeling a little under the weather? 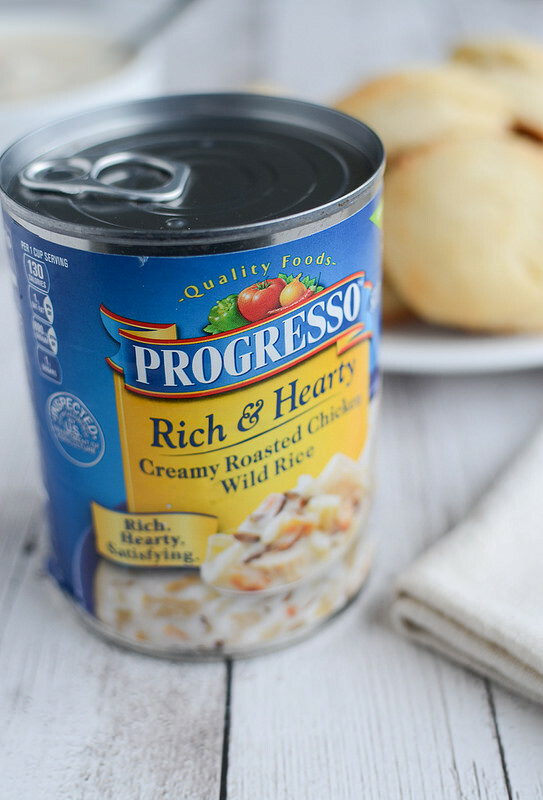 I picked up Progresso Rich & Hearty Creamy Roasted Chicken and Wild Rice at Walmart recently and it is one of my favorite soups. It’s comforting and delicious and is perfect for cold and rainy days like we’ve been having down here in Texas. I love Progresso soup because not only are they tasty but they’re also made with fresh ingredients so you can feel good about feeding them to your family. 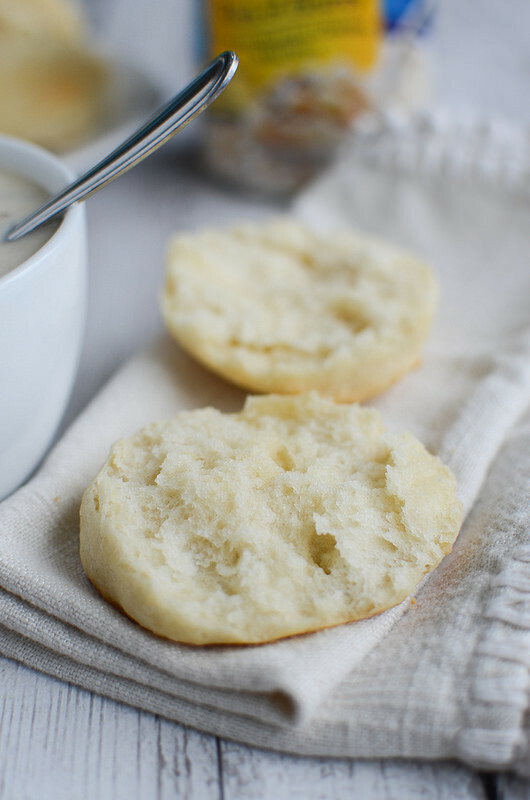 Typically I go for sandwiches with my soup but this one, since it’s so hearty, really goes well with these light and fluffy Angel Biscuits. 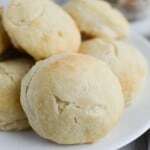 Angel Biscuits are different from your typical biscuits because they’re made with a yeast dough. 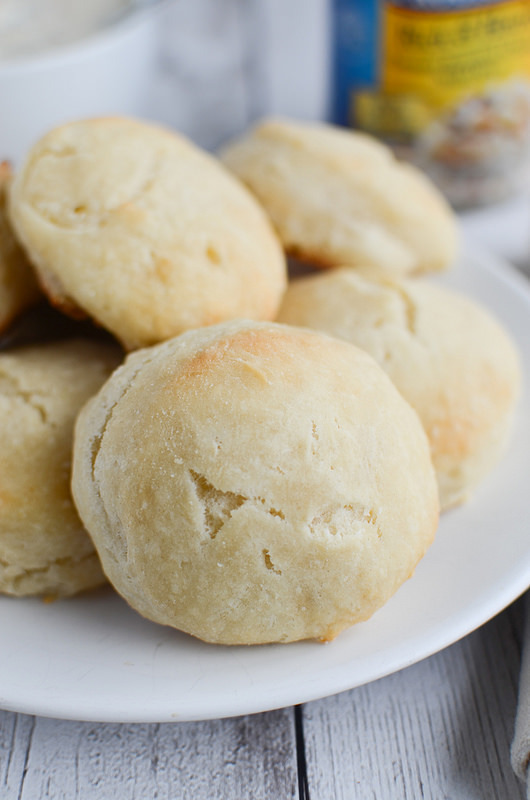 You let the dough chill for a while and the biscuits turn out fluffy and delicious. They are perfect with butter and honey or jam spread on them or really delicious when dunked in soup! 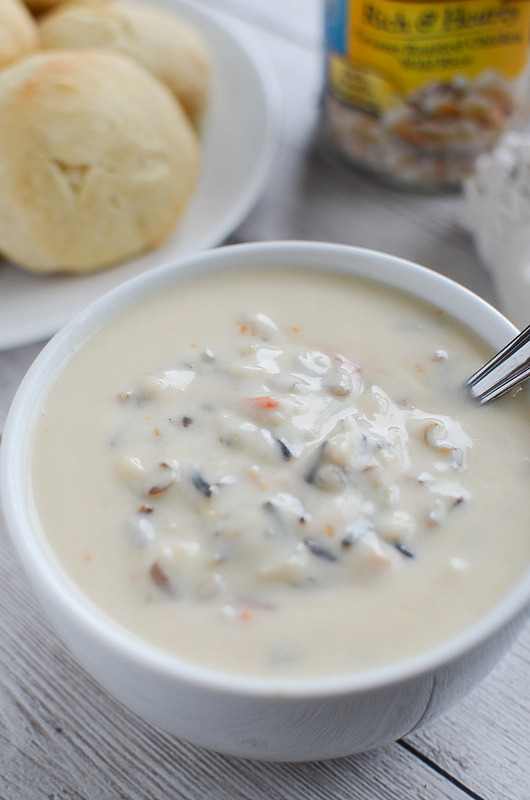 For more info and recipes featuring Progresso soups, click here! 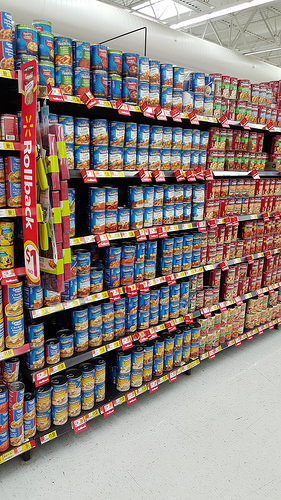 Let me know in the comments which variety of Progresso soup is #foodforyourmood! In a small bowl, stir together water, yeast, and 1 teaspoon sugar. Let sit for about 5 minutes, until bubbly. In a separate large mixing bowl, whisk together flour, sugar, baking powder, baking soda, and salt until no lumps remain. Cut the butter and shortening into the flour with a pastry cutter until it resembles coarse crumbs. Stir in yeast mixture and buttermilk until everything is just moistened. Cover and refrigerate for at least 2 hours. Turn the dough onto a lightly floured surface. Roll out to about 1/2" thickness and use a small round cookie cutter to cut rounds out. Transfer to the prepared baking sheet. Brush each biscuit with butter. Bake for 15 - 20 minutes or until puffed and golden brown. If you have more dough, reroll and repeat steps.